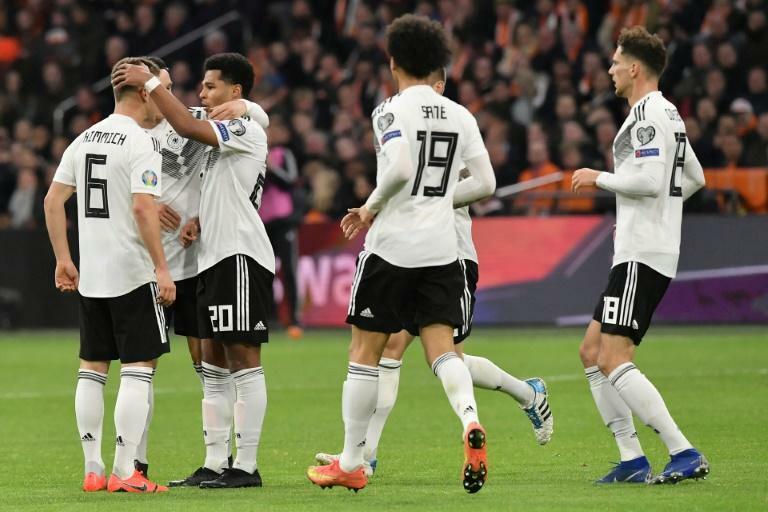 Nico Schulz's 90th minute winner fired Germany to a dramatic 3-2 victory over the Netherlands in their opening Euro 2020 qualifier on Sunday, lifting the pressure off coach Joachim Loew. It was Germany's first win in a competitive game since last year's World Cup, and came after a game in which Loew's side showed strength and fragility in equal measure. 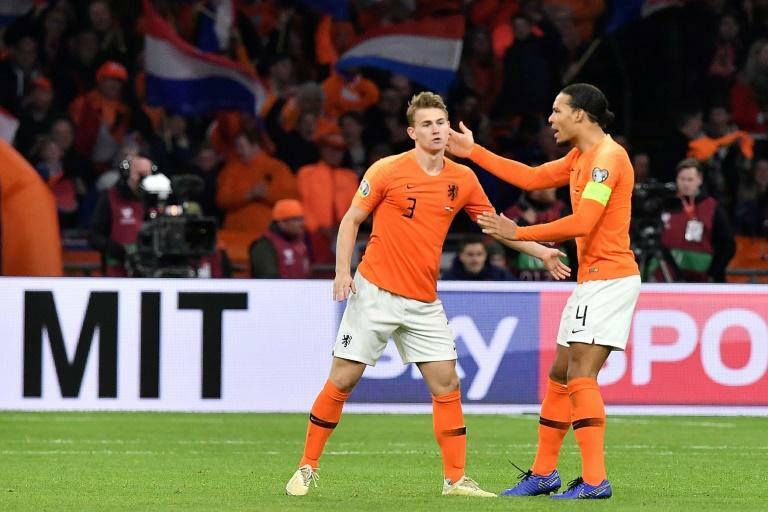 The Germans were magnificent in the first 45 minutes in Amsterdam, but were outplayed in the second half as the Dutch came back from 2-0 down against their rivals for the second time since November. Yet Schulz prodded in a last-gasp winner against the run of play to hand Germany the win. "The win will do us a lot of good, it is great for us as a team," Schulz told RTL. Loew praised his team's fighting spirit after a rollercoaster evening. "We played really well in the first half, but in the second half we weren't really on the same level," the Germany coach said. "I was impressed by hard how the team fought, and how they kept on believing until the end. Full credit to them." Germany burst out of the blocks and Dutch goalkeeper Jasper Cillessen had to beat away a fierce shot from Serge Gnabry after just two minutes. With a quarter of an hour gone, the visitors took a deserved lead when Schulz burst up the left wing and found Leroy Sane with a low cross. As Dutch defender Matthijs de Ligt slipped on the turf, Sane slipped away and smashed the ball past Cillessen. The Dutch looked equally dangerous at the other end, however, and the veteran Ryan Babel forced two outstanding saves in quick succession from Manuel Neuer. But the Johan-Cruijff-Arena fell silent when Gnabry found the top corner with a breathtaking strike from the edge of the box on 35 minutes. "Don't forget we were playing Germany," Netherlands coach Ronald Koeman reminded anyone who was unaware. "We knew the Germans would come at us, and we got off to a poor start," he said." The hosts responded furiously after the break and De Ligt made up for his earlier error by flicking a Memphis Depay cross past Neuer to make it 2-1. With just over an hour gone, Lyon forward Depay squeezed a shot through a crowded box to level the scores. The Netherlands looked the more likely winners for much of the rest of the game, until Schulz popped up in the box late on to steer in the winner and crown a thrilling match.